If there was a shortcut to spring fishing success, would you take it? As the snow melts from those icy rooftops, and the rivers start flooding, every angler feels an urging need to hit the waters to chase some big predators. 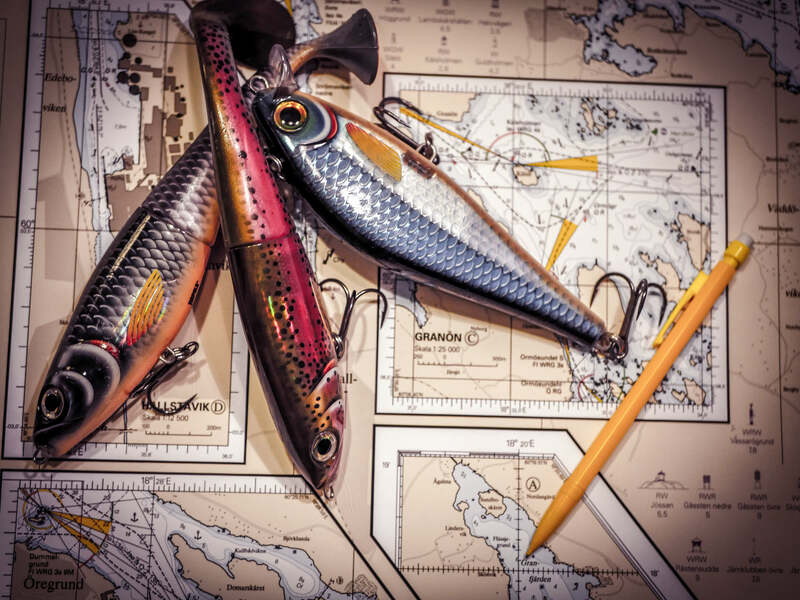 Would you like to get some great tips from some of the skilled Rapala Proguides? 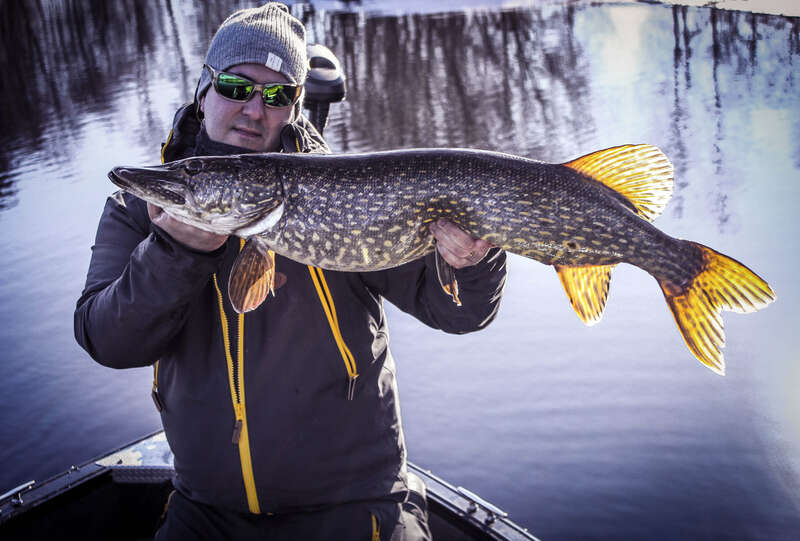 Tips on how to improve your spring fishing and more precisely how to target those really early-season pike! I totally agree with Mikko. It is important to build up a plan. No matter if it is spring time or any other season. On your first day, take your time. Check the surroundings. Look for the more calm and quiet waters. Find those big shoals of whitefish and make sure to carefully cast both around them and directly in the middle of them. When you have found your area, be patient! it can sometimes take days before you succeed. The Storm R.I.P. Curly tail pictured in Mathias’ photo above is great for a slow presentation, or you could try the new Rapala X-Rap® Otus which is certain to be a winning lure for those cold spring days. The pike are not eager to burn their precious energy in the early spring. So give your lures plenty of time in the strike zone! These days, lots of anglers are fishing from boats, yet I am still part of the many who experience our fishing moments from the shore. Stay mobile and carry only a light bag and a rod. That way you can easily find those open areas in the spring. Areas with flowing water are usually open all year long, or at least they open very early in the season. I would recommend looking for these spots under the bridges, in nearby areas of canals, rivers and streams where the water tends to move faster. Lures such as the Shallow Shad Rap® and the X-Rap® Peto can be extremely effective in those areas and will certainly attract some hungry predators! The subject around pike fishing during the spawning period has been a hot potato in Sweden for a couple of years now. 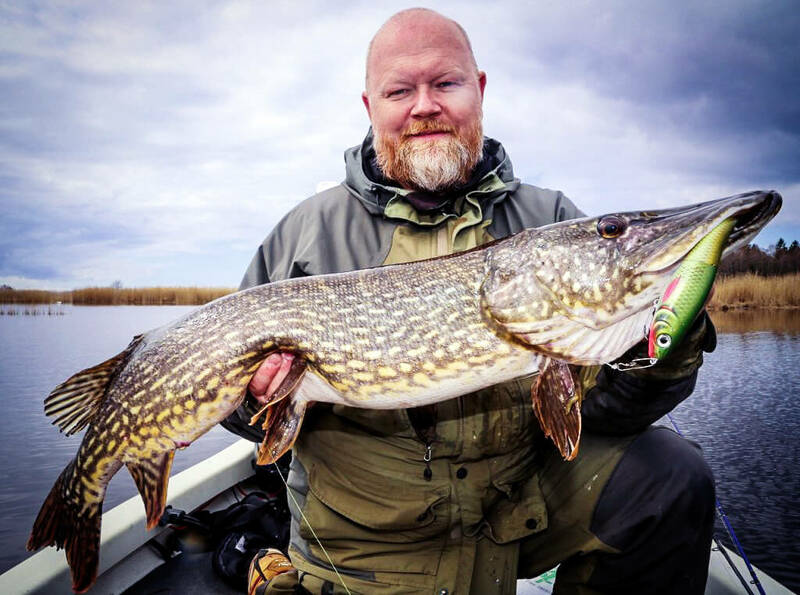 The Swedish Sportfishing association has worked hard to restore a lot of areas and build “pike factories” - which basically are protected swamp areas where the pike can spawn and reproduce in a sheltered environment. Many municipalities and originations have tightened their regulations and expanded the no-fishing zones during the spring in order to give the fish a chance to spawn. Especially in larger areas in the archipelago of southern Sweden. A couple of years back during mid-February, I remember pushing my boat down the boat ramp, through snow and ice. Already tired and exhausted I went out to try my plan on the waters. I had chosen an area in a river nearby which usually holds an enormous amount of bream and small roach. The plan was already set. The area was overviewed, and the lures were strategically laid out in a well-organized row. I was determined to land a big pike - but had no greater results on day one, day two or even day three. I almost lost my hope. But I kept pushing, until eventually it really paid off on day four. After over 40 hours of absolutely nothing, when you’re still standing in the same area and throwing the same lures, you would like to give up and move on. But I did not. Why? Because I knew for a fact that there were big pike in this area! So, I decided to try to hang in there! Another great Rapala Proguide Morgan “Mogge” Lewin told me once: “For me spring fishing isn’t about moving around in 40 knots from place to place. I choose my area and I personally like to fish extremely slowly. And of course, focusing on these big shoals of baitfish. The open windows during spring can be very short, when fishing slowly. We are talking about windows of twenty to forty minutes. So be consistent and have patience. And that’s exactly what happened the last day, after four totally devastating days. The contacts came from out of nowhere. One touch… And then BAM! There she was. Followed by intense and extremely heavy shakes. My pulse was way over normal as I laid my eyes on a massive head and a wide back. This fish was way over the ten-kilo mark. But just as I leaned forward to grab the net, she shook her head swiftly couple of times - managing to spit out my lure in some mysterious way! An enormous fin swimming back down to the darkness was the last memory I have of her. So, there I sat with my head in my palms cursing. This time she had won the battle. After so many countless hours I must admit that I was pretty devastated to drop such a big fish - and so close to the boat! But hey, that’s life. Next time she´ll be in the net! 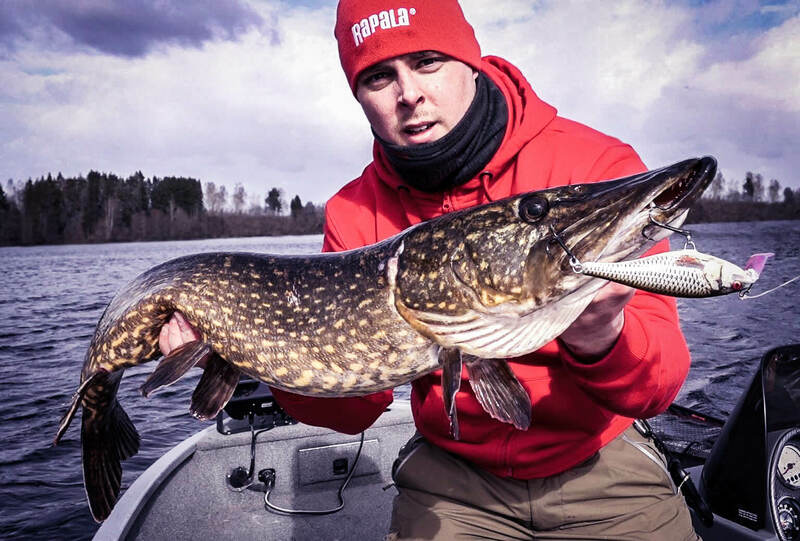 A man with broad experience, full time guide and of course a Rapala Proguide Mikael Puhakka said: “For me local knowledge is of big value! To study the areas, I go through maps and charts. The key for my spring fishing is going slow - fishing slowly with long pauses. Seek bays with warmer water temperatures and work your way from outside the bay towards the inner bay. 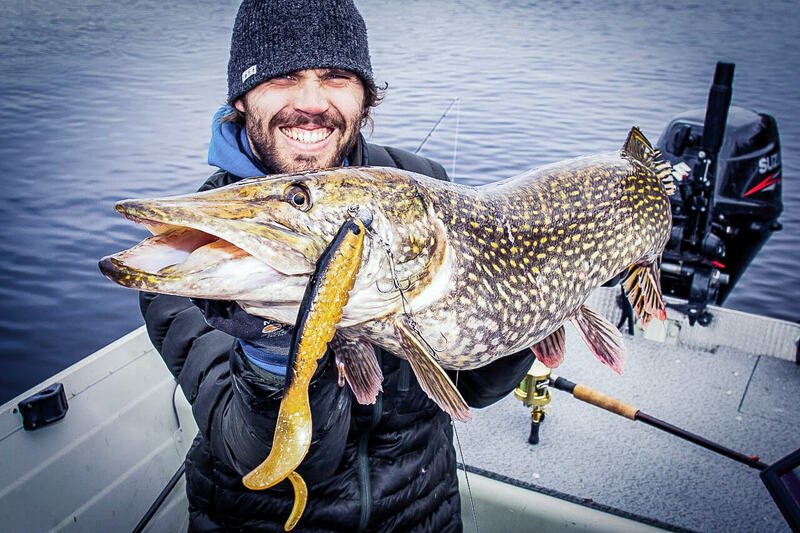 Be careful with your spring fishing – the big pike should be handled with extra care! So, let’s summarize the game plans! Building up your plan, determination and being focused on the waters will take you far. Find areas with a lot of baitfish and fish really slow (take your time fishing a likely spot, and be patient) - but don’t hesitate to burn out those lures of yours over the vegetation! If you’re fishing a river, the calmer parts and backwaters can be effective. In the more turbulent and running waters, gaps under bridges and streams, if you fish from the shore, can work very nicely. Lures with slow sinking action and big tails would be my first choice, but even hard shaking paddles can break the pattern on a slow day! Search for bays with warmer water temperatures or fish those plain edges and drop-offs outside the pre-spawning areas. Take advantage on the really sunny spring days and fish when the sun stands high. Believe in what you are doing and just wait! Magic will happen! 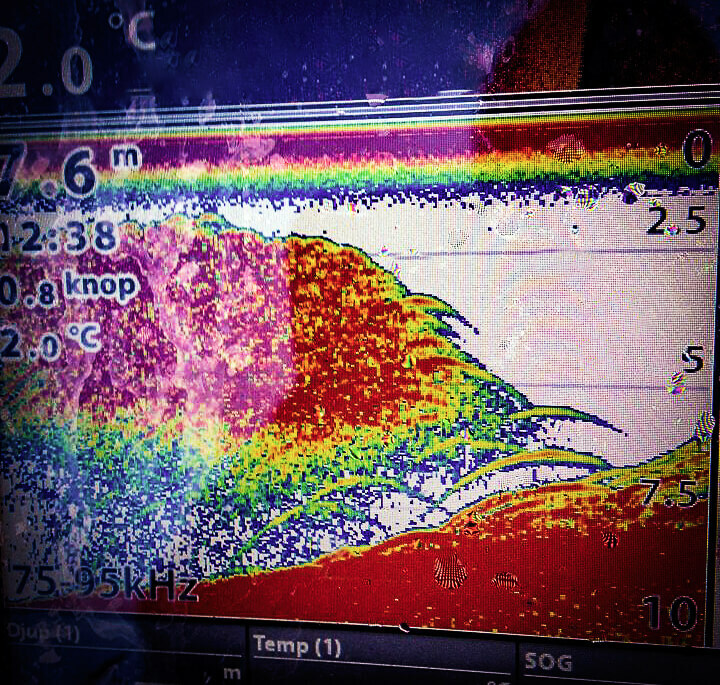 I hope you enjoyed our spring tips and that you´ll catch a big one!